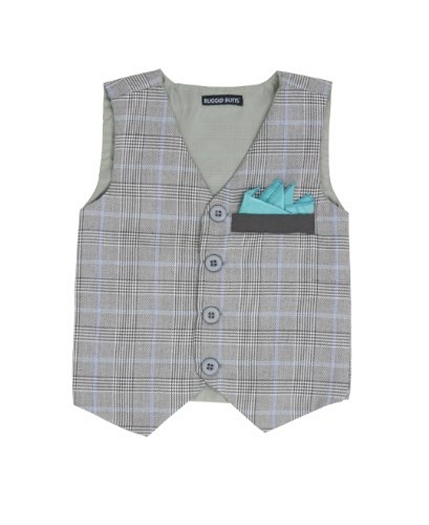 DapperLads - Rugged Butts Glen Plaid Vest w Aqua Pocket Square - English & Full Dress Vests - English vests with ruche ties. Rugged Butts formal vests, argyle golf sweater vests with argyle knee socks. 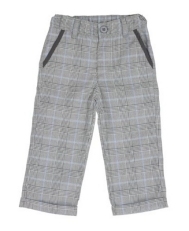 The classic glen plaid is "äll business" with the retro vibe and a youthful aqua stripe running through the material. An aqua pocket square adds the finishing touch. It is made of a dressy polyester - viscose blend. Machine washable, dry on low. 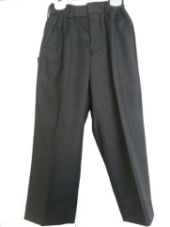 Pair with the matching glen plaid pants or the charcoal gray pants as shown on the model. Both are optional and sold separately in Complete Your Look items below. Note - The driver cap pictured has sold out. 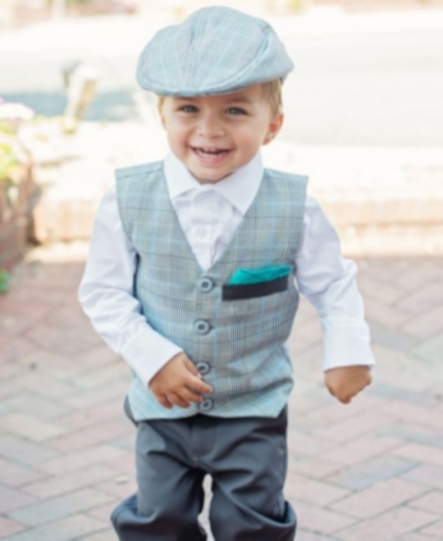 But - another hat option is the gray fedora - also shown below!